Thanks to delicious shaved ice, I recovered from the pain of my foot. 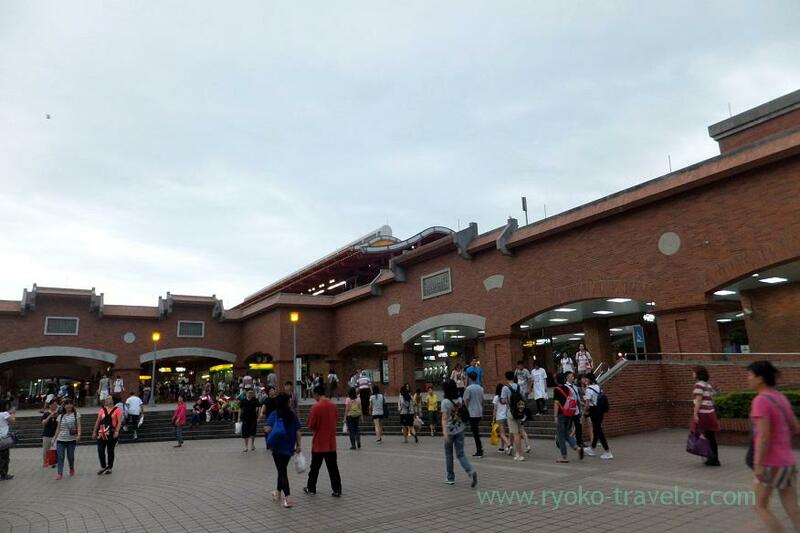 So I decided to go to Tamsui (淡水) by MTR. 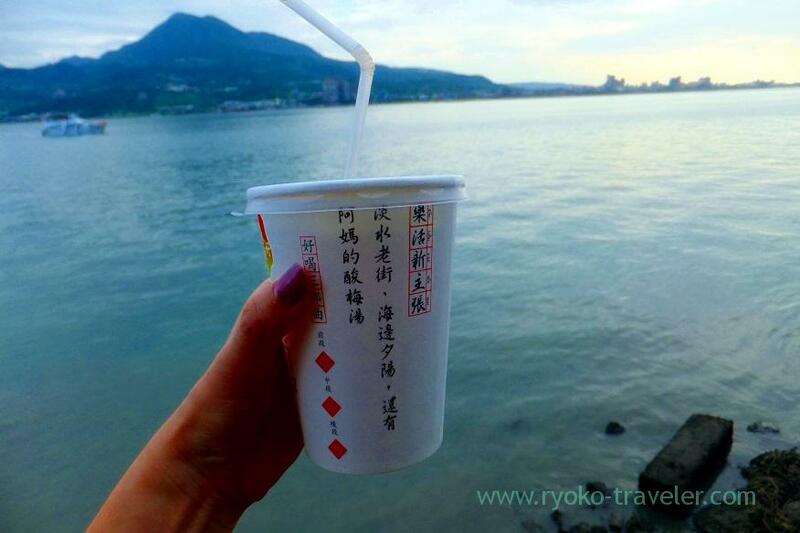 We can go to Tamsui by MTR Tamsui line directly from Taipei station. It takes about 1 hour or so. 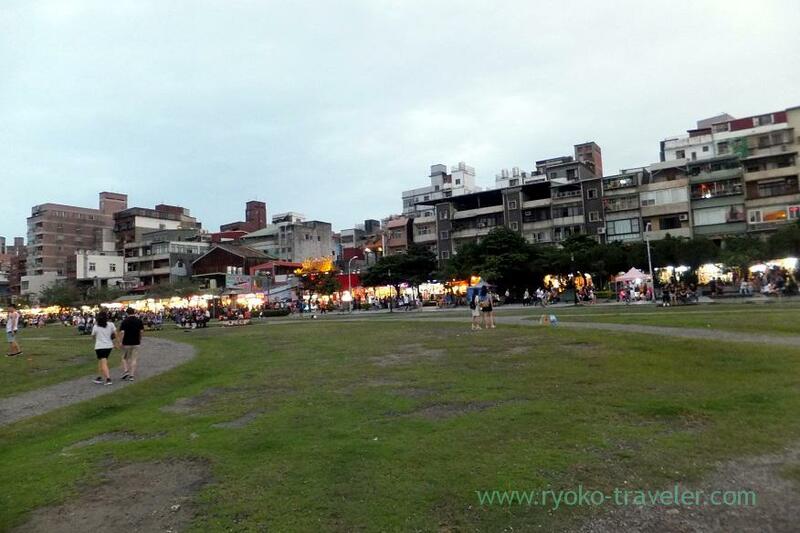 Tamsui is said to be “Venice in Taiwan”. Though I got to their around 4 p.m., but it was cloudy and it was like evening. Only one place had bad smell, but it is comfortable place. 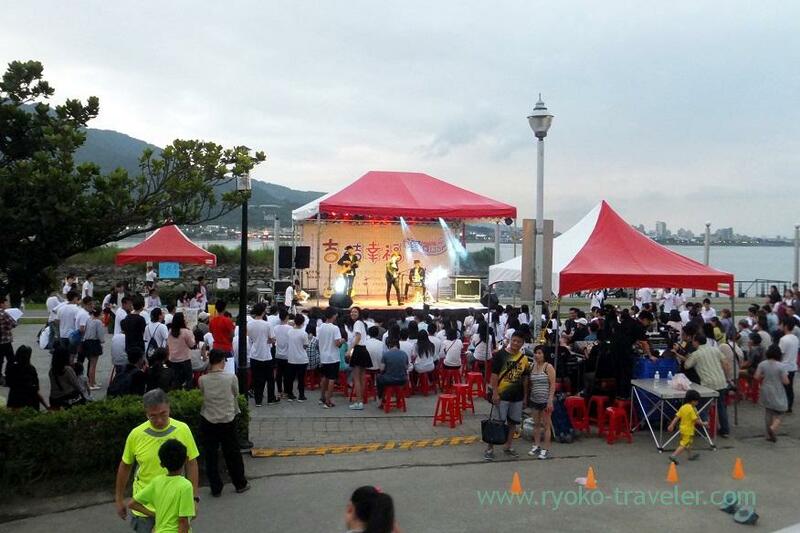 It was weekend, so many people from inside and outside Taiwan gathered. But too many people gathered along the market street :p So many stalls are along the long street. Anyway, I wanted to drink something cold, so, I dropped in at this shop. Plum beverage shop. 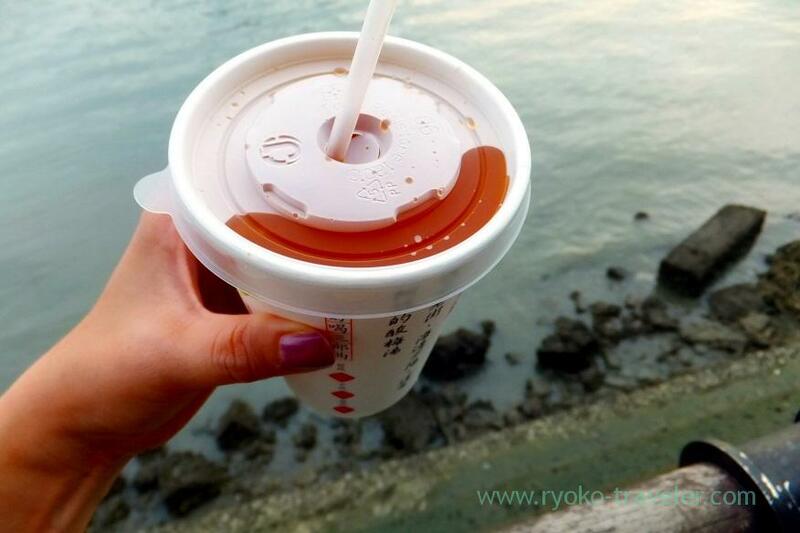 They prepare plum beverage only. Of course, I ordered cold one. 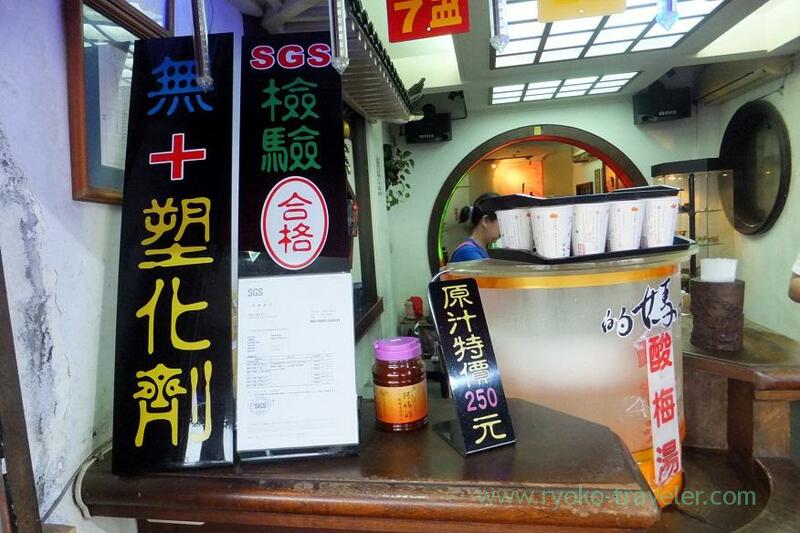 But they prepare hot plum beverage, too. Both is $NT30. Of course, this plum beverage was sour. And it was sweet a bit. 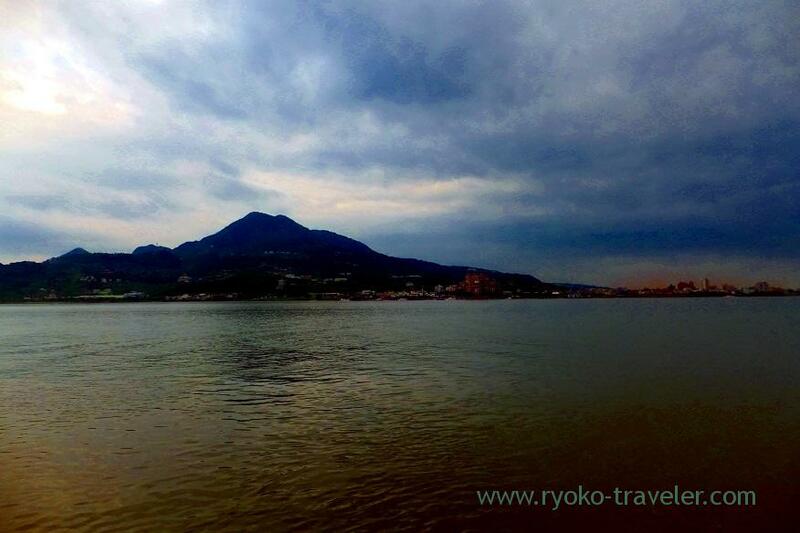 By the way, I heard that we can see beautiful sunset at Tamsui, but we couldn’t see it because of such a dense cloud. I found terrible Japanese. 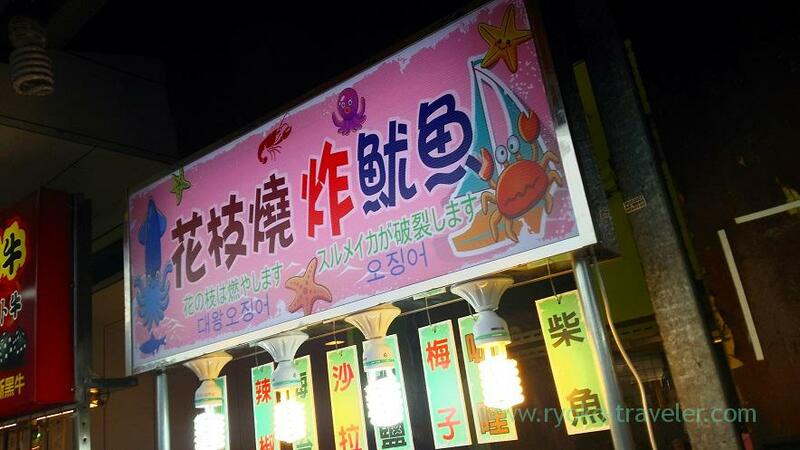 This signboard says “We burn branch of flower. Squid burst.” Oh my. But it’s tasty deep fried squid shop. Then I found grilled squid shop ! I didn’t feel like eating something, but I suddenly felt hungry as soon as I found this shop ! Squid is my delight. 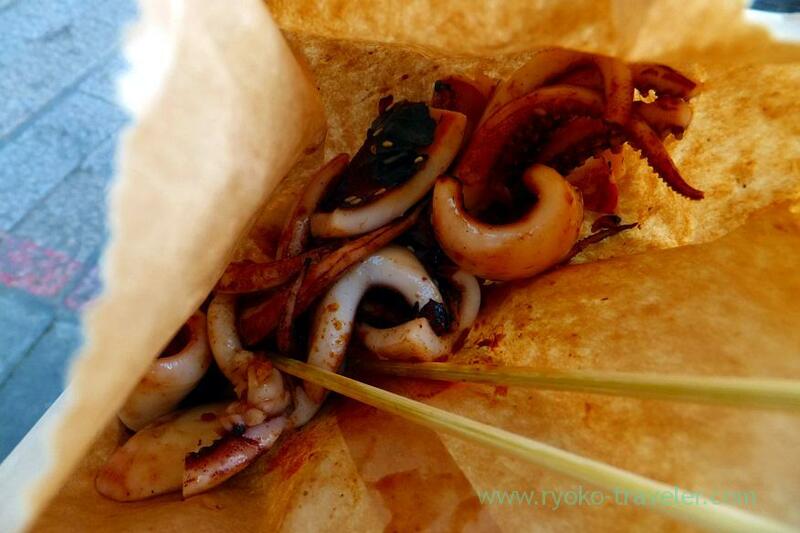 And grilled squid that can be eaten at the market and festival is exceptional ! 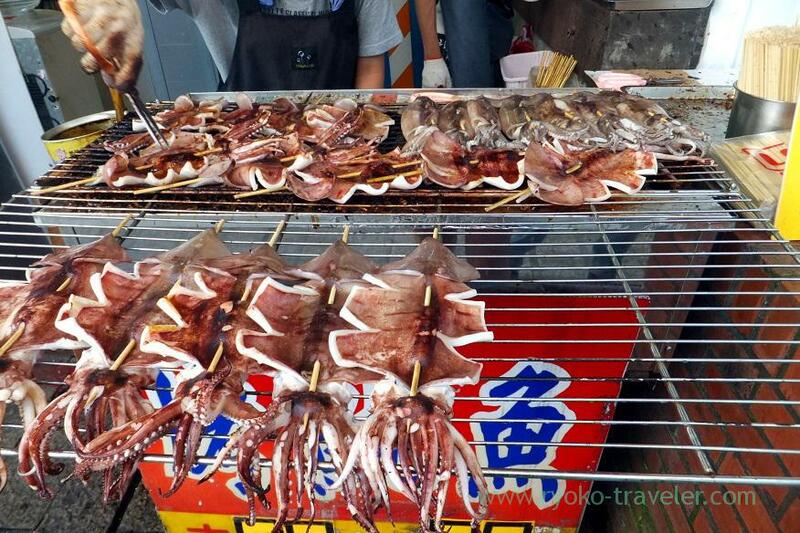 Speaking of grilled squid can be eaten at festival in Japan, it is seasoned with soy sauce and sugar. But in Taiwan, they add much spice ! It is delicious ! And mostly they cut grilled squid into pieces so that we can easily eat. It is helpful. Some events were held. 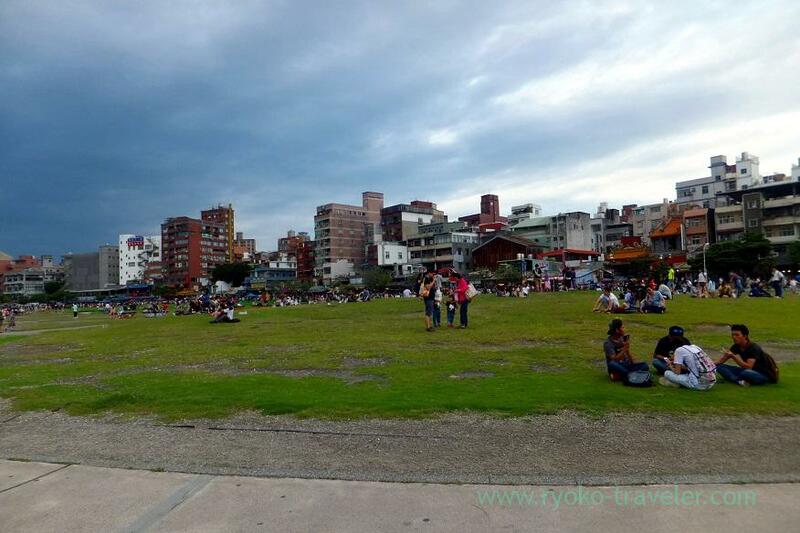 Though I wanted to enjoy more, but I went back to Taipei before night. I had to go to another place, too ! 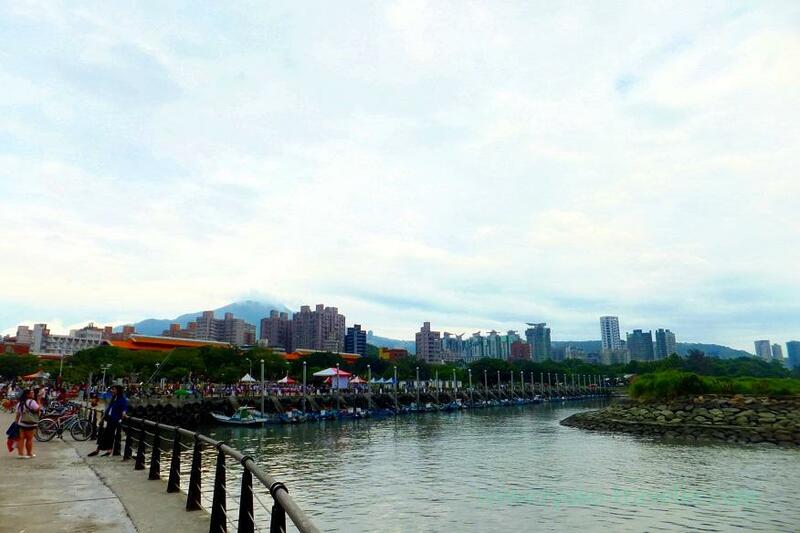 My trip to Taipei was only for three days ! But I want to visit there again. Of course, I want to spend a whole day next time.